PodoSafe is an instant callus remover that treats and minimizes calluses and cuticles effectively and safely. No sharp blades or tools are required, minimizing health risks. PodoSafe can also be used for podiatric treatments of diabetic feet. 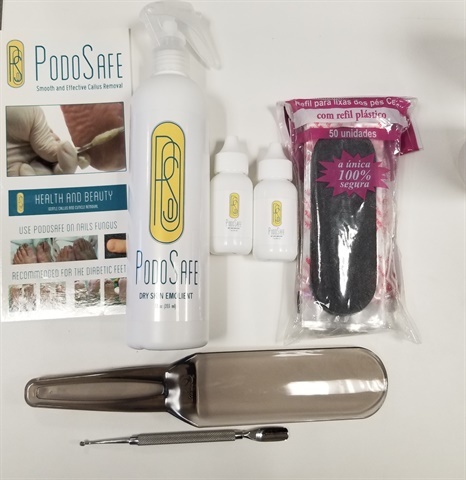 Comment below to enter to win a package including full sized bottle of PodoSafe, sample size bottles for clients, disposable foot files with a reusable handle, and a pusher/curette. Three winners will be notified Wednesday, February 20. U.S. only, sorry. Go here to see a demo of how to use PodoSafe.